The Indianapolis Museum of Art (known colloquially as the IMA) is an encyclopedic art museum located in Indianapolis, Indiana, United States. The museum, which underwent a $74 million expansion in 2005, is located on a 152-acre (0.62 km2) campus on the near northwest area outside downtown Indianapolis, northwest of Crown Hill Cemetery. The Indianapolis Museum of Art is the ninth oldest[note 1] and eighth largest encyclopedic art museum in the United States. [note 2] The permanent collection comprises over 54,000 works, including African, American, Asian, and European pieces. Significant areas of the collection include: Neo-Impressionist paintings; Japanese paintings of the Edo period; Chinese ceramics and bronzes; paintings, sculptures, and prints by Paul Gauguin and the Pont-Aven School; a large number of works by J. M. W. Turner; and a growing contemporary art collection. Other areas of emphasis include textiles and fashion arts as well as a recent focus on modern design. In addition to its collections, the museum consists of 100 Acres: The Virginia B. Fairbanks Art and Nature Park; Oldfields, a restored American Country Place era estate once owned by Josiah K. Lilly, Jr.; and restored gardens and grounds originally designed by Percival Gallagher of the Olmsted Brothers firm. The IMA also owns the Miller House, a Mid-Century modern home designed by Eero Saarinen and located in Columbus, Indiana. The museum's holdings demonstrate the institution's emphasis on the connections among art, design, and the natural environment. Founded in 1883 by the Art Association of Indianapolis, the first permanent museum was opened in 1906 as part of the John Herron Art Institute. 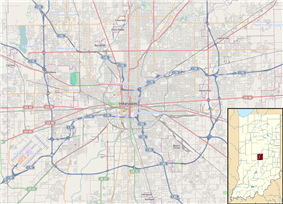 In 1969, the Art Association of Indianapolis changed its name to the Indianapolis Museum of Art, and in 1970 the museum moved to its current location at Michigan Road and 38th Street north of downtown Indianapolis. Among the Art Association's founders was May Wright Sewall (1844–1920), known for her work in the women's suffrage movement. Other supporters have included Booth Tarkington (1869–1946), Eli Lilly (1885–1977), Herman C. Krannert (1887–1972), and Caroline Marmon Fesler (1878–1960). The associated John Herron Art Institute was established with the help of notable Hoosier Group artists T. C. Steele and William Forsyth. Dr. Charles L. Venable is the current Melvin and Bren Simon Director and CEO. [note 3] The museum is widely recognized as innovative in its development of open source technologies, institutional transparency, and collaboration between museums. In 2008, the IMA became the first fine art museum to be named an Energy Star partner due to its greening initiative and efforts to reduce energy consumption. In 2009, the IMA was awarded the National Medal for Museum and Library Service for public service, specifically the museum's free admission policy and educational programming. ^ a b c d "Spreading Its Wings". Lighting Design and Application 35 (11): 52–56. November 2005. ^ a b c d e "Indianapolis Museum of Art Receives Nation's Highest Award for Community Service". ^ a b c d e f g h i j k l m n o p q r s t u v w x y z aa Anne P. Robinson; S.L. Berry (2008). Every Way Possible: 125 Years of the Indianapolis Museum of Art. Indianapolis Museum of Art. ^ a b Yancey, Kitty B. (May 22, 2009). "Summer travel '09: Freebies across the USA". ^ a b "Anna Grace Ritchie assisted museum with J.M.W. Turner art collection". ^ a b "Interview: Linda Duke". IDEAS. Museum Identity. Retrieved March 22, 2011. ^ a b c Harpaz, Beth J. (February 8, 2011). "Fashion Museums From NYC to LA, Paris and More". ^ a b c d Lloyd, Christopher (September 9, 2007). "A wider canvas; Savvy ads and new exhibits boost IMA attendance and membership". ^ a b c d e f g Brooks, Bradley C. (2004). Oldfields. Indianapolis Museum of Art. ^ Richardson, Tim (November 2010). "Modern Arcadia". ^ "Simon's Give Indianapolis Museum of Art $10 Million Gift". Inside Indiana Business. May 18, 2007. ^ a b "MW2010 Best of Web". ^ a b c d Taylor, Kate (April 7, 2009). "ArtBabble Site Opens Window to World of Museums". ^ a b Dobrzyński, Judith H. (March 10, 2009). "Deaccessioning in Public". artsJournal. ^ a b c d e McQuigg Rigal, Rebecca. "Q&A: Open Sourced Tools for Wired Museums". Refresh Blog. Archived from the original on August 24, 2011. Retrieved April 20, 2010. ^ a b Pogrebin, Robin (January 26, 2011). "The permanent collection may not be so permanent". ^ a b c d e "Indianapolis Museum of Art Launches Online Consulting Service". ^ a b c d Warkel, Harriet G. (2003). The Herron Chronicle. ^ a b "Architectural Jewel in The Midwest With its Hulman Pavilion, the Indianapolis Museum is lyric and quietly monumental.". ^ a b c "European art galleries set to reopen today". ^ a b Saetre, Julie C. (July 6, 2008). "Garden gazing; Plan-it-yourself landscape tour will cost you only time and a little gasoline". ^ a b Marshall, Konrad (August 18, 2009). "Coming to Life". ^ a b "News: 100 Acres Art & Nature". SCULPTURE. December 2009. ^ "Max Anderson on why the 100 Acres Art and Nature Park is the most progressive and unpretentious sculpture park to date". ^ a b Bathrop, Natalie (September 30, 2009). "One Hundred Acres of Art". ^ "Indianapolis Museum of Art Announces Public Art Installation by Artist Mary Miss to Premiere September 2011". The Indianapolis Museum of Art. June 29, 2011. ^ "MICD25: Indianapolis Museum of Art". ^ McLaughlin, Kathleen (July 16, 2010). "IMA plans arts installations along White River". ^ a b "Oldfields (Josiah Kirby Lilly, Jr. House)". ^ a b Kellogg, Craig (May 2011). "Living History". ^ Williamson, Leslie (May 2011). "20th-Century Fox". ^ a b Aamidor, Abe (March 23, 2008). "Mansion makeover; IMA director and his wife restore famous home to its former glory". ^ Stacey McArthur (2007). "Portrait of a Trendsetter". Cover Gallery. ^ a b c Mullinix, Donna S. (May 13, 1998). "Treasure HUNT; The Indianapolis Museum of Art displays pieces collected during the past 10 years in a new exhibit". ^ a b c d e f Lee, Ellen W. (2005). Indianapolis Museum of Art: Highlights of the Collection. Indianapolis, Indiana: Indianapolis Museum of Art. p. 231. ^ a b c d e f Artner, Alan G. (Jul 17, 1994). Hidden" Treasure of the Midwest Beyond Our City's Limits, Museums House Masterpieces of Art""". ^ a b McQuiston, Julie Pratt (September–October 1999). "Guaguin and the School of Pont-Aven: The Samuel Josefowitz Collection". ^ "Fesler Will Gives Herron $500,000". ^ Barkin, Sandra (June 22, 2006). "Edward Hopper, Poet of the Prosiac American Artist of the Past is Star of the Present at the Whitney". Italian Voice 75 (3). ^ Batz, Bob (August 30, 1996). "Indianapolis". ^ "Asia's wide open spaces; IMA shows off one of the nation's largest collections of art from the Far East". ^ a b "The art of diversity; Museums feature more works by Africans and by blacks of the New World". 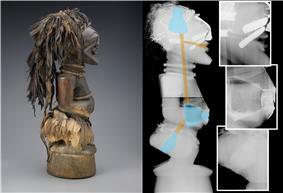 ^ "AFRICAN ART: IMA to reopen African Gallery during AfricaFest Aug. 19". ^ a b Wade, Marcia (June 1987). "Indianapolis: One of the oldest museums in the country constantly updates its image". USArts. ^ Van Nuys, Kathleen (August 3, 1983). "Museum Cares for Textiles". ^ Berry, S.L. (April 13, 1997). "Beauty is the magic in woven carpets". ^ "The art of adornment; Exhibits of clothing and jewelry attract the cognoscenti and the curious". ^ Bernstein`, Fred (March 12, 2008). "The Curator Who Even Considers the Office Chair". ^ Comiskey, Daniel (June 2008). "The Collector". ^ USDesign 1975–2000. New York: Prestel Verlag. 2001. p. 152. ^ Sheets, Hilarie M. (March 28, 2007). "Seeking a Lift From the Contemporary". ^ Green, Tyler. "The Indianapolis Robert Irwin rises above". ^ Merli, Melissa (February 11, 2007). "Postapocalyptic works offer glimpses of hope, promise". ^ Dobrzyński, Judith H. (June 23, 2010). "Art and Nature, Hand in Hand". ^ a b Nancrede, Sally F. (Apr 4, 2009). "Living by design". ^ Anderson, Maxwell L. (June 8, 2010). "Gather, Steward, and Converse". ^ "Indianapolis Museum of Art Launches Searchable Database of Deaccessioned Artworks". ^ Rosenbaum, Lee (March 17, 2009). "Deaccession Heaven: Indianapolis Museum of Art Does It Right". Culture Grrl. ^ "Registry of New Acquisitions of Archaeological Material and Works of Ancient Art". AAMD: Object Registry. ^ Seligson, Joelle (March 2009). "A Loophole for Loot?". ^ Runyon, Keith (October 14, 1973). "Surgery on Fine Art". ^ Young, Jim (November 24, 1979). "Conserving Paintings is Delicate Task at IMA". ^ Mannheimer, Steve (May 15, 1983). "Conservation keeps IMA in shape". ^ a b "Portraits Undergo Face-Lifts". ^ "Art Museum Team Completes "Face Lifts" On Governors". Noblesville Daily Ledger. March 5, 1979. ^ "New school on old site gets new look for old art". ^ "May Wright Sewall Memorial torches to ‘relight’ their original Herron site". ^ Whyde, Kathy (August 16, 1981). "Treasures turned back into pieces of beauty at IMA". ^ Garmel, Marion (August 8, 1981). "Lab is Museum Nerve Center". ^ "Art Conservationists Plan Meeting". ^ McBain, Roger (August 2, 1986). "Preservationists hide their work". ^ "Art exhibit sheds light on forgery". ^ a b c Merli, Melissa (May 1, 2005). "Indy art "new" museum aims to be a destination". ^ a b c Pes, Javier (April 2010). "Indianapolis Relaxes Climate Controls". ^ Pes, Javier (June 2, 2010). "Climate control: time to change the settings". ^ a b c Lloyd, Christopher (October 16, 2008). "IMA to Expand Art Conservation Lab". 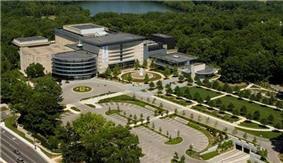 ^ a b "Indianapolis Museum of Art To Establish Conservation Science Laboratory". ^ "Indianapolis Museum of Art appoints new Senior Conservation Scientist". ^ "Gregory Dale Smith Appointed Conservation Scientist at Indianapolis Museum". ^ a b "Saint-Gaudens Exhibit Will Be Brought Here: Art Association Committee Reaches Decision, 50,000 Attendance Needed.". ^ "Dutch Artists' Collection to be Shown Here: 65 Paintings, Including Several Rembrandts, Will Go on Exhibition at Herron Feb. 27". ^ "W.J. Holliday Collection". Art World. January 23, 1983. ^ Artner, Alan G. (January 24, 1988). "Seurat Followers Dot the Landscape". ^ Alexander, Nancy (June 1987). "The Art of the Fantastic: The works of three generations of artists explore the Latin American experience in a dazzling new exhibit at the IMA". Indianapolis Magazine. ^ Nancrede, Sally F. (November 9, 1992). "Haven't seen the Paley exhibit?". ^ Mannweiler, David (February 4, 1992). "This is a biggie, folks". ^ a b Berry, S.L. (March 18, 2001). "Russian exhibit cultural coup for museum". ^ a b Lloyd, Christopher (September 23, 2007). "IMA's toga party; The Louvre lent local museum some of its best treasures of ancient Rome". ^ "Rare Exhibition Brings Together Spanish Sacred Art". ^ "In tribute to IMA exhibit gala has a Spanish vibe". ^ "An Artful Harvest". American Style. September 2010. ^ Kightlinger, Cathy (October 8, 2010). "Warhol exhibit reflects preoccupation with money". ^ "The Business Artist: How Andy Warhol Turned a Love of Money Into a $228 Million Art Career". ^ a b c Dobrzyński, Judith (April 21, 2009). "The Decorative and Beyond". ^ McKee, Bradford (March–April 2009). "Meet you in the middle". International Design. ^ a b Dunlop, Beth (May 2009). "Shaping the New Century". HOME: Miami. ^ "European Design Since 1985 Opens at the Indianapolis Museum of Art March 8". Antiques and the Arts Weekly. February 27, 2009. ^ Morgan, Anya (August 11, 2010). "European Design Exhibition Coming To Milwaukee Art Museum". ^ a b Kino, Carol (February 17, 2011). "Letting His Life's Work Do the Talking". ^ Hanna, James Chad (February 2011). "Private View: Indianapolis". ^ Wallis, Stephen (January–February 2011). "Extra-ordinary Art". ^ Lacayo, Richard (March 14, 2011). "Outside the Lines: In a potent retrospective, self-taught artist Thornton Dial gets his view". ^ a b Fentress Swanson, Abbie (December 6, 2010). "Roll Over Beethoven: 'Ode to Joy' Remixes Come to MoMA". ^ a b c Harvey, Jay (September 8, 2010). "IMA picked to represent U.S. at show in Venice". ^ a b Vogel, Carol (March 3, 2011). "Athletes to Bring Life to Venice Biennale". ^ a b Kightlinger, Cathy (March 3, 2011). "Indianapolis Museum of Art, athletes team up for sculpture exhibition in Venice". ^ Jason Edward Kaufman (January 8, 2009), Museums make deep cuts in face of global financial crisis The Art Newspaper. ^ "Our Mission". The Indianapolis Museum of Art. Retrieved 14 March 2011. ^ "Indianapolis Museum Gets Major Gift". ^ "Museum to display art collected by society". Plymouth Pilot News. April 20, 1979. ^ Gabrielle Poshadlo (2011). "Fashion Arts Society rolls out new programming!". Indianapolis Fashion Collective. Retrieved April 3, 2011. ^ Hirsch, Stuart (April 12, 2004). "To art patrons, entry fee is in eye of beholder; Museum's admission charge of $7 per adult, starting May 2005, draws mixed reaction from public". ^ McCauley, Mary Carole (September 30, 2007). "Museums enjoy their free for all". ^ Carol Vogel and Adam W. Kepler (October 23, 2011), Dallas Museum Lands New Director New York Times. ^ a b McLaughlin, Kathleen (October 6, 2009). "Indianapolis Museum of Art wins national honor". ^ "Indiana Museum Accessibility". Indiana Assistive Technology Blog. January 11, 2010. Retrieved April 3, 2011. ^ "Accessible Paths at 100 Acres". Indiana Assistive Technology Blog. July 19, 2010. Retrieved April 3, 2011. ^ a b c "Indianapolis Museum of Art Launches IMA Lab". ^ Hughes, Thomas. "The Handheld Guide: Experimenting with Mobile Technology in Museums". Technology in the Arts. Retrieved October 19, 2010. ^ Szántó, András (December 2010). "Time to lose control". ^ a b c Pincus, Robert L. (August 2, 2009). "MCASD Jumps Onboard the Artbabble Site". ^ Vogel, Carol (March 16, 2011). "The Spirit of Sharing". ^ Dobrzyński, Judith H. (July 29, 2009). "Art Babble Keeps Babbling On – With More Partners". Real Clear Arts. ^ "Arts journalism showcased at summit". THR.com. September 9, 2009. ^ a b McLaughlin, Kathleen (December 25, 2010). "Not-for-profits hang out consulting shingle". ^ Spears, Dorothy (March 16, 2011). "In a Stressful Setting, Artistic Treatment for the Traveler". ^ The nine oldest museums in USA are: Peabody Essex Museum, 1799; Wadsworth Atheneum, 1842; Metropolitan Museum of Art, 1870; Museum of Fine Arts, Boston, 1870; Philadelphia Museum of Art, 1876; Columbus Museum of Art, Ohio, 1878; Art Institute of Chicago, 1879; Cincinnati Art Museum, 1881; Portland Museum of Art, 1882; Indianapolis Museum of Art, 1883. ^ At 669,484 square feet (62,197.1 m2), the IMA is eighth largest in the United States in Main Museum Building space among the 130 respondents in the Association of Art Museum Directors 2010 Statistical Survey. ^ The IMA's chief executive is referred to as the Melvin and Bren Simon Director and CEO in recognition of a $10 million dollar gift from philanthropists Melvin and Bren Simon to endow the position of the director and CEO. IMA Art Services is a consulting service focused around public art and modeled after the museum's other consulting arm, IMA Lab. In January 2011, IMA Art Services signed its first contract with the Indianapolis Airport Authority. With the $100,000, one-year contract, the museum will manage the Indianapolis Airport Authority's art collection, which includes 40 works currently on display in the passenger terminal of the Indianapolis International Airport. In 2009 the IMA launched ArtBabble, an online art themed video website that features interviews and full-length documentaries. ArtBabble serves as a repository for art related media content created by not only the IMA but other institutions. The Smithsonian American Art Museum, San Francisco Museum of Modern Art, Los Angeles County Museum of Art, San Diego Museum of Contemporary Art, and the New York Public Library are some of the 30 worldwide partners who contribute content. ArtBabble was a showcase project for the National Summit on Arts Journalism and was chosen "Best Overall" Best of the Web winner at Museums and the Web 2010.
, the objects it has marked for deaccession, and the amount of daily energy the museum consumes.endowment The IMA Dashboard is a feature of the IMA website that provides real-time information about the museum's operations, including the size of its  as a new way to describe collections and make them more accessible.social tagging Steve.museum, for which IMA Lab is the technical lead, is a project that explores  that presents visitors with content related to the IMA's collection, such as artist interviews, text and audio files, and pictures.iPod Touch for mobile tour application TAP is a , and the IMA Dashboard.steve.museum IMA Lab projects include TAP,  IMA Lab was designed to address museum-specific technology needs not currently met by  In February 2010, the IMA announced the launch of IMA Lab, a consulting service within the museum's technology department. From 1946 until 1981, the Indianapolis Junior League provided volunteers and monetary support for the museum's docent program. In 1981, the museum began its own docent training program, which continues to serve a large number of volunteer docents through classes and training. As of 2009 over 500 individuals volunteer at the IMA. The IMA's educational initiatives include programming for the local community as well as online audiences. Viewfinders, an art-viewing program that serves 9,000 local students a year, uses Visual Thinking Strategy, an arts-based curriculum that teaches critical thinking, communication skills, and visual literacy. The museum's emphasis on online engagement has led to educational tools such as ArtBabble, a video portal for art museum content. Davis Lab, located within the museum next to the Pulliam Great Hall, is a space where visitors can virtually browse the museum's collection and experiment with new technology. In addition to its focus on technology and school outreach, the museum provides classes, lectures, and film series, as well as ongoing tours of the collections, historic properties, and grounds. Other programming includes the Star Studio, a space for drop-in art making where visitors, along with museum staff, carry out projects inspired by museum exhibitions. In 2009 the IMA was awarded the National Medal for Museum and Library Service, one of 10 institutions to receive this annual distinction by the Institute of Museum and Library Services (IMLS). The IMA was recognized for serving its community through a number of programs, including Viewfinders, a school program that serves 9,000 local students a year. IMLS also cited the IMA's free admission, greening and sustainability initiatives, efforts to reach virtual audiences, and improvements in accessibility throughout the museum. As early as 1915, the IMA (then the John Herron Art Institute) introduced free admission on Saturdays and Sundays, resulting in an increase in attendance and diversity in audience. In 1941 the museum began a free admission policy that remained in effect until 2006 when the board initiated a $7 admission fee for nonmembers. Beginning in January 2007, the museum returned to free general admission with the exception of special exhibits. Dropping the admission charge, which then director and CEO Max Anderson described as a barrier that kept people away, resulted in increased attendance, membership, and donor support. During Anderson's tenure at the museum attendance has more than doubled, to 450,000 visitors annually. The IMA has relied on affiliates to support and raise awareness about the museum's collections since the early 20th century. In 1919 the Friends of American Art was founded to support purchases for the Art Association of Indianapolis and Herron Museum. For two decades the Friends purchased 22 works of art for the collection, funded by members' annual donations. The Alliance of the Indianapolis Museum of Art was founded in 1958 and planned lectures, black tie balls, and related activities in order to raise funds for the museum. Major gifts included a $350,000 contribution in 1979 toward the $40 million centennial endowment campaign and a $500,000 contribution toward the IMA's 1990 expansion. By 2007 the Alliance had provided purchase funds for over 300 works of art. The Contemporary Art Society was formed in 1962 to acquire contemporary art for the museum's permanent collection. In 1963, the first major acquisition consisted of 65 works. The Horticultural Society was founded in 1972 to contribute to the care and education of the museum's gardens and grounds, raising $65,000 in 1989 toward the restoration of Oldfields' gardens. In the late 1970s the Second Century Society and the Print and Drawing Society were both formed. The Second Century Society, later known as the IMA Council, was founded to celebrate donations of $1,000 or more to the museum's annual operating fund, attracting more than 200 contributors during its inaugural year. In 1979, the Print and Drawing Society exhibited 70 artworks spanning 500 years in their first exhibit, The Print and Drawing Society Collections. By the late 1980s the museum had expanded its affiliate program to include the Decorative Arts Society, the Asian Arts Society, the Ethnographic Arts Society, and the Fashion Arts Society. The Indianapolis Museum of Art is a 501(c)(3) corporation which is governed by director and CEO Charles Venable, three vice chairmen, a treasurer, secretary, and 21 additional board members. The museums endowment consists of approximately 120 individual funds devoted to building operations, bond costs, personnel expenses, legal fees and other purposes. As a consequence of the 2008 financial turbulences, the endowment fell from $382m at the start of 2008 to $293m at the end of November. Hard Truths: The Art of Thornton Dial, on display from February to September 2011, includes over 70 large-scale artworks and is the largest assemblage of Thornton Dial's work ever mounted. The exhibition contextualizes Dial as a relevant, contemporary artist rather than a folk artist or outsider artist as many have portrayed him in the past. The pieces on view in Hard Truths cover a range of social and political themes, many of which address rural life in the south and the treatment of African Americans. After departing Indianapolis, the exhibition is scheduled to travel to New Orleans, Charlotte, North Carolina and Atlanta. In 2009, Sacred Spain: Art and Belief in the Spanish World brought together 71 works of art from a wide variety of lenders, including Peru, Mexico, and the Prado in Spain. The exhibit was composed of a rare collection of pieces, many of which had never been on view in the United States. It featured paintings, sculpture, metalwork, and books by artists such as El Greco, Diego Velázquez, and Bartolomé Esteban Murillo. Andy Warhol Enterprises was displayed at the IMA from October, 2010 to January, 2011 and featured more than 150 works of art by Andy Warhol, as well as archival materials. The exhibition was the largest to illustrate Warhol's fascination with money and feature consumerism as a central theme. Visitors were able to view the progression of Warhol's career, from his beginnings as a commercial artist to his multi-million dollar empire. In 1977, the IMA acquired a collection of Neo-Impressionist paintings from Indianapolis industrialist W.J. Holliday, which was presented in an exhibition in 1983 titled The Aura of Neo-Impressionism: The W.J. Holliday Collection. From 1986 to 1988, the exhibit traveled to seven cities in the United States and made one stop in Europe at the Van Gogh Museum in Amsterdam. Opening in the summer of 1987 to coincide with the Pan American Games, Art of the Fantastic: Latin America, 1920–1987 presented 125 works by artists from a variety of nations. Well-known artists such as Frida Kahlo and Roberto Matta were featured, as well as artists who had never exhibited outside their native country. The show was the first large-scale presentation of 20th-century Latin American art in the United States in over 20 years and was the museum's first contemporary exhibition to travel. In 1909 the Art Association campaigned for a major retrospective, the Augustus Saint-Gaudens Memorial Exhibition, to be brought to Indianapolis. The exhibition, also referred to as the Saint-Gaudens Memorial Exhibition of Statuary, attracted 56,000 visitors during its three-month run, well beyond the board's goal of attracting 50,000 visitors. A 1937 exhibition, Dutch Paintings of the Seventeenth Century, included loans from the Cincinnati Art Museum, the Metropolitan Museum of Art, and the Rijksmuseum Amsterdam. The six-week exhibition presented 65 pieces, including several Rembrandts, and was considered the beginning of the museum's rise to connoisseurship. In October 2008, the IMA announced a $2.6 million grant from the Lilly Endowment to be used toward the creation of a state-of-the-art conservation science lab. Through a grant from the Andrew W. Mellon Foundation, Dr. Gregory Dale Smith, was hired in October 2009 to lead the lab as its senior conservation scientist. A main focus of the lab is researching the IMA's collection, including couture fashion in the textile collection and objects made of synthetic materials in the design collection. Another focus is scientific research on materials found in the collections, such as resins and dyes on African art pieces and glazes on Asian ceramics. Through the addition of the lab, the IMA aims to establish itself as an internationally recognized conservation center and to increase its potential as a training and professional development resource in conservation science. In February 2010, the IMA shifted from current environmental control standards within their exhibition spaces, allowing temperature and humidity fluctuation of a few degrees on either side of the suggested standard. Director and CEO Maxwell Anderson had been involved in discussions with the Bizot Group of museum directors in which the scientific validity of the current standard was called into question. The IMA relinquished the standard after concluding that the majority of artworks could sustain a greater range of humidity, so permitting the museum to save on the cost of energy bills and reduce its carbon footprint. Currently, the conservation department serves the needs of the museum through the expertise of specialists in paintings, textiles, works on paper, frames, and objects conservation. The department has grown in both size and staff throughout the years, with the most recent expansion occurring in 2007. As of 2007, the IMA owned one of the few computer-based X-ray units in the United States, continuing a trend in X-ray technology that the department began in the 1970s. In 1980, the department helped organize and establish the  Another public presentation of conservation took place in 2007 with Sebastiano Mainardi: The Science of Art, a Star Studio exhibit that allowed visitors to watch conservators as they worked on the 16th-century altarpiece. The IMA's Star Studio is an interactive gallery that enables visitors to learn, through the process of art-making and observation, about the museum's collections. The IMA's conservation department was established in 1970 by the museum's first full-time conservator, Paul Spheeris, and quickly became known as a regional center for conservation. In 1978 the department began providing consulting services to regional institutions, taking on contracts from across the Midwest. An early high profile contract involved the preservation of 45 governors' portraits over the course of 15 months. The 1979 exhibit, Portraits and Painters of the Governors of Indiana, was held at the IMA from January to March before the portraits were placed on permanent display at the Indiana Statehouse. Other major regional projects have included the conservation and restoration of the Thomas Hart Benton murals, first created for the Indiana Hall at the 1933 Chicago World's Fair and now located at Indiana University, the Wishard Memorial Hospital murals, the Otto Stark and Clifton Wheeler murals in Indianapolis Public School 54, and most recently the restoration of the May Wright Sewall Memorial Torches at Herron High School, the former site of the John Herron Art Institute. Former director and CEO Max Anderson has spoken of the need to shift away from museums that "collect, preserve, and interpret", encouraging the IMA and other institutions to instead "gather, steward, and converse" in a way that increases accountability and responsiveness. The IMA's collecting and deaccessioning practices have reflected this perspective, utilizing technology to provide public access, openness, and transparency in museum operations. Unveiled in March 2009, the museum's online deaccession database lists every object being deaccessioned and links new acquisitions to the sold objects that provided funds for their purchase. The IMA has been praised for being the first among museums to openly share their deaccessioning practices and for including the ability to post public comments on entries in the searchable database. The IMA also developed the Association of Art Museum Director's (AAMD) Object Registry, a database that helps museums more easily abide by the 1970 UNESCO ruling that prevents illicit trafficking of antiquities. Since 2003, the IMA has systematically researched the provenance of artworks created before 1946 and acquired after 1932. In recent years the IMA has begun to focus on developing its contemporary art collection, which includes works such as Two White Dots in the Air by Alexander Calder and Light and Space III, a permanent installation by Robert Irwin located in the Pulliam Great Hall. Since 2007 the museum has featured site-specific contemporary installations in the Efroymson Pavilion, rotating the temporary works every six months. The Efroymson Pavilion has featured works by artists such as William Lamson, Ball-Nogue Studio, Orly Genger, and Heather Rowe to name a few. Contemporary art is also featured in 100 Acres: The Virginia B. Fairbanks Art and Nature Park, which is unique in its inclusion of commissioned works by emerging mid-career artists. Since 2007, the IMA has committed to building a modern design collection that illustrates the artistic merits of utilitarian objects. The focus on international contemporary design, combined with the opening of the Miller House in 2011, is expected to reposition the museum as an authority on design. The museum's textile and fashion art collection is made up of 7,000 items, including 20th century, custom-designed costumes by Givenchy, Chanel, and Balmain. The collection includes a number of the world's fabric traditions, including African textiles donated by sisters Eliza and Sarah Niblack between 1916 and 1933 and a significant collection of Baluchi rugs. Based on the museum's early history of collecting textiles, items range from couture to silks and antique laces spanning 500 years. Some notable pieces include an Imperial Russian court dress by designer Charles Frederick Worth and Bodhisattva of Wisdom (Mañjusri), a Ming Dynasty silk panel. The museum's Design Arts collection is made up of European and American pieces from the Renaissance to the present. The collection includes Eliel Saarinen's sideboard designed in 1929 for The Metropolitan Museum of Art exhibition The Architect and the Industrial Arts: An Exhibition of Contemporary American Design and the Bubbles chaise longue designed by Frank Gehry in 1979 for the Experimental Edges Series. The museum has a substantial Asian art collection, with more than 5,000 pieces spanning 4,000 years. Most notable is the IMA's acclaimed collection of Japanese Edo Period paintings,  The museum is unique in its inclusive display of Islamic and ancient Egyptian works within the African gallery, rather than with Greek or Roman antiquities. Significant pieces include a female ancestor figure of the Senufo people and Magbo helmet mask for Oro association by master carver Onabanjo of Itu Meko. Fine Wind, Clear Morning (about 1800-1849), by Katsushika Hokusai, is within the IMA's permanent collection. 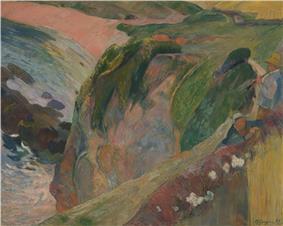 The Flageolet Player on the Cliff (1889), by Paul Gauguin, is within the IMA's permanent collection. The Indianapolis Museum of Art has a permanent collection of over 54,000 works that represent cultures from around the world and span over 5,000 years. Areas of the collection include: European painting and sculpture; American painting and sculpture; prints, drawings, and photographs; Asian art; art of Africa, the South Pacific, and the Americas; ancient art of the Mediterranean; Design Arts; textile and fashion arts; and contemporary art. The museum holds a significant collection of Neo-Impressionist paintings and prints, many of which were given in 1977 by local industrialist W. J. Holliday. Combined with the Neo-Impressionist collection is the Samuel Josefowitz Collection of Gauguin and the School of Pont-Aven, which includes highlights such as Bretons in a Ferryboat by Émile Bernard. The IMA also holds a large collection of works by J.M.W. Turner, containing highlights such as the 1820 watercolor, Rosslyn Castle. The collection, which was formed by a substantial donation by philanthropist Kurt Pantzer in 1979, includes over fifty watercolors, as well as oil paintings, prints, and etchings. 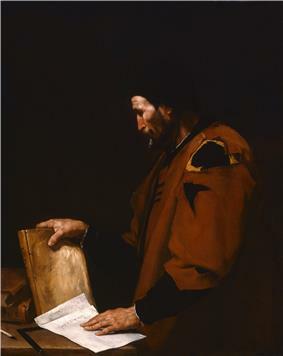 Aristotle (1637), by Jusepe de Ribera, is within the IMA's permanent collection. Located just south of the museum in the carriage house, a greenhouse, and the surrounding grounds. Allen Clowes died in 2000 and bequeathed the estate to the museum, intending it to serve as an event space and the home for the IMA director. In 2006 the estate underwent a $2-million renovation, with a major gift of $800,000 by the Allen Whitehill Clowes Foundation and an anonymous donor. The renovation was headed by Indianapolis-based architects Rowland Design, construction company Shiel Sexton, and interior designer Jacqueline Anderson, who is the wife of former IMA director Maxwell Anderson. Currently, the first floor and grounds remain a space for museum events, while the IMA director and family live on the second and third floors. Westerley historically served as a venue for the Clowes family to showcase their fine art collection, which eventually became the foundation for the IMA's early European collection. Upon the renovation, Jacqueline Anderson chose to continue the display of selected Clowes' pieces alongside the couple's collection of contemporary art. The Miller House is a Mid-Century modern home designed by Eero Saarinen and located in Columbus, Indiana. The residence was commissioned by American industrialist, philanthropist, and architecture patron J. Irwin Miller and his wife Xenia Simons Miller in 1953. Design and construction on the Miller House took four years and was completed in 1957. The home was declared a National Historic Landmark in 2000. In 2009, the home and gardens, along with many of the original furnishings, were donated to the Indianapolis Museum of Art by the Miller family. In addition to Eero Saarinen, the house and gardens showcases the work of leading 20th-century figures such as interior designer Alexander Girard, landscape architect Dan Kiley, and principal design associate at the Saarinen office, Kevin Roche. Oldfields is a 26-acre (110,000 m2) historic estate and house museum on the grounds of the Indianapolis Museum of Art. The gardens and grounds were restored by the museum in the 1990s. Together with the restoration of the mansion in 2002, Oldfields is now a rare example of a surviving American Country Place Era estate. The estate was designated a U.S. National Historic Landmark in 2003. Oldfields was built between 1910 and 1913 by architect Lewis Ketcham Davis for the family of Hugh McKennan Landon, who occupied the home from 1913 until 1932 when it was sold to J. K. Lilly, Jr. Lilly, the late Indianapolis businessman, collector, and philanthropist, renovated and expanded the estate throughout the 1930s and 1940s, updating interiors as well as adding a number of new buildings to the grounds. The 22-room mansion has undergone historic restoration and is currently interpreted to reflect the 1930s era when the Lilly family occupied the residence. In addition to the home's significance as a representation of the American country house movement, Oldfields' gardens and grounds are a rare example of a preserved estate landscape designed by Percival Gallagher of the Olmsted Brothers firm. View of Oldfields from the allée. June 20, 2010 marked the official opening of a large-scale outdoor project undertaken by the IMA. Formerly a gravel pit, 100 Acres: The Virginia B. Fairbanks Art and Nature Park now encompasses a diverse landscape, including wooded areas, wetlands, open fields, a lake and a series of hiking trails that guide visitors past site-specific works of contemporary art. 100 Acres is one of the largest art parks in the country and is the only park to feature an ongoing commission of temporary works. The first eight artists selected to create site-responsive pieces were Atelier Van Lieshout, Kendall Buster, Alfredo Jaar, Jeppe Hein, Los Carpinteros, TTea Mäkipää, Type A, and Andrea Zittel. These works, along with an LEED certified visitor center, are linked by a variety of walking trails. The 152-acre (0.62 km2) grounds of the IMA contain distinctive features that have been modified over time to create a greater connection between the museum building and its surroundings. The Oldfields estate has been described as a Gesamtkunstwerk, a unified work of art that combines the arts of landscape design, gardening, architecture, interior design, and decorative arts. In addition to the restored gardens and grounds of Oldfields, other notable areas of the grounds include the Sutphin Mall and Fountain, the wheelchair accessible Garden for Everyone, and a working greenhouse and shop. The IMA grounds are also home to 100 Acres: The Virginia B. Fairbanks Art and Nature Park, located behind the museum proper. Garden areas make use of existing features in the natural landscape and incorporate examples of public art, both historical and contemporary. From the mid-1990s until 2005 the IMA focused on the next phase of development, the "New Vision", or what became known as the "New IMA." After four years of restoration, the Oldfields mansion reopened to the public in June 2002 and was designated a National Historic Landmark in 2003. In 2005 the museum completed a three year, $74 million renovation and expansion project that added three new wings and 50 percent more gallery space to the building. In all, the construction added 164,000 square feet (15,200 m2) to the museum, in addition to the renovation of 90,000 square feet (8,400 m2) of existing space. Renovations included the Hulman and Clowes Pavilions, which house the museum's European collection, as well as the addition of the Allen Whitehill Clowes Gallery. The expansion aimed to unify the building and campus while creating a more welcoming atmosphere for visitors. As one of three new wings and as a new entry to the building, the Efroymson Pavilion helped to transition visitors between the museum and the surrounding grounds. The Wood Gallery Pavilion added three levels of gallery space as well as a dining area and education suite, while the Deer Zink Pavilion added additional space for private and public events. The architectural focus on welcoming visitors coincided with a new advertising campaign that reached out to a broader, more diverse audience. In 1960, Art Association of Indianapolis board members began discussing the idea of placing the museum at the center of a new cultural campus. Inspired by African and South Pacific art. The pavilion opened in 1990 and increased the exhibition space to more than 80,000 square feet (7,400 m2). The expansion aimed to provide clearer chronological continuity and a more coherent flow as visitors moved from one gallery to the next. In 2008, the museum changed its main entrance and address from 1200 West 38th Street to 4000 North Michigan Road. From the 1930s until the 1950s, the John Herron Art Institute placed an emphasis on professionalism and growth in collections. Wilbur Peat, director of the museum from 1929 until 1965, acquired significant portions of the collection. Peat also made connections with benefactors such as Dr. George H. A. Clowes, Booth Tarkington, and Eli Lilly. Caroline Marmon Fesler, president of the Art Association of Indianapolis, gave a number of artworks in the 1940s including 20th century modern artworks and Post-Impressionist works by Cézanne, Van Gogh, and Seurat. After years of debate surrounding expansion and relocation of the museum and school, the great grandchildren of Eli Lilly, J.K. Lilly III and Ruth Lilly, donated the family estate, Oldfields, to the Art Association of Indianapolis in 1966. One year later it was decided that the school would become a part of Indiana University's Indianapolis campus in an effort to assist with accreditation. That same year it was confirmed that the museum would relocate to Oldfields, with the new Krannert Pavilion opening to the public in October 1970. In 1969, prior to moving to the new site, the Art Association of Indianapolis officially changed its name to the Indianapolis Museum of Art. William Henry Fox was hired in 1905 as the Art Institute's first director. From 1905 to 1910, Fox managed both the museum and the school while constructing two new buildings on the 16th street site..applied art grew throughout the early years of the school, with a focus on Arts and Crafts movement Emphasis on the  The John Herron Art Institute opened in 1902 at the corner of 16th and Pennsylvania street. The death of wealthy Indianapolis resident John Herron in 1895 left a substantial bequest with the stipulation that the money be used for a gallery and a school with his name. The Art Association's first exhibition, which opened November 7, 1883, contained 453 artworks from 137 artists.